It Bangla How To YouTube YouTube Earning How to add a logo watermark for all YouTube videos? How to add a logo watermark for all YouTube videos? In this tutorial, I will show you, how to add watermark for YouTube videos? But why we use Watermark for YouTube videos? There are so many interesting features within YouTube and so many people don't know that. A watermark does so many things for the owner of YouTube channel. It is the very simple way to get the viewer for subscribe your channel. When some one move the cursor over the watermark, it will inform about your channel and you can ask the people for subscribe your channel through this watermark. Most of all it is looking a professional and beautiful. If someone clicks the watermark it will redirect the viewer to the channel page and he can watch the other videos. I know there is a subscribe button in your channel but it will gives you extra privilege for subscribe and everyone want subscribers for the YouTube channel. Read this: Why we should use a Google account? How to create a watermark for YouTube channel? You can use any software for creating the logo or watermark for the channel. For me I am using Photoshop software, it is very helpful software and there is so many facilities and options. If you don’t know Photoshop then you can take the help of other software. Online photo editing software is there you can use that. Try to make it in .png format. Transparent will give you best result. Use one color for watermark. File size not more than 1 MB. 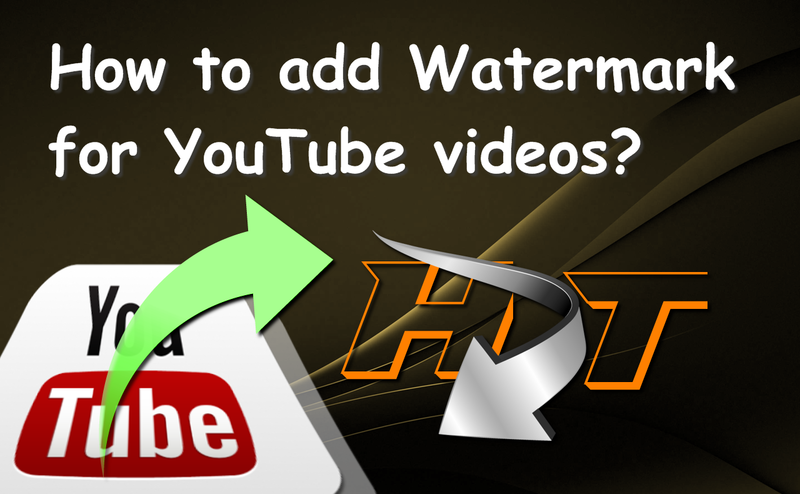 How to Upload the Watermark for YouTube videos? First, sign in your YouTube account and go to video manager. Now, you will find Add a Watermark option. Click that option. It will ask you to upload a watermark. Click browse option. It will also suggest you, for best results, use transparency and just one color and file size not more than 1mb. You can upload your YouTube channel logo or subscribe button. I will tell you one thing; upload a .png file for best result. There is an option like; you can set the water mark for end of the video, Custom Start time or entire video. I like this option for entire video and click update. Now go back to the video manager option. Water is ready for the YouTube videos, now I will show you how is it looks like? Play a video from your channel.